Q: Are you a licensed private investigator? A: Yes, we are licensed investigators in the State of California. Our license number is 23796. We have been continually licensed since 2003. 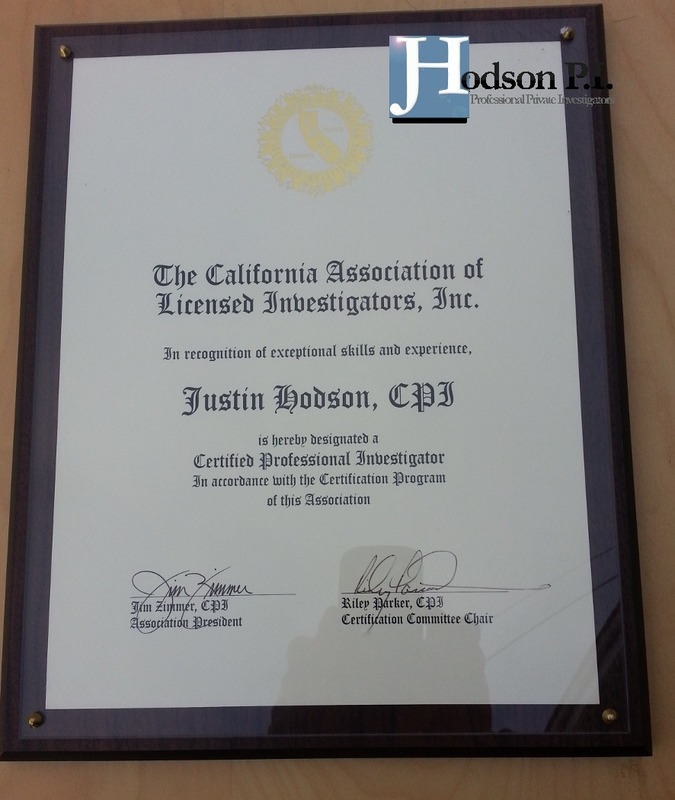 All private investigators in California must be licensed under the Private Investigator Act in California. To obtain a private investigators licensed in California one must have at least 6000 hours of compensated investigative experience, pass an FBI and Department of Justice background check and pass a written test. Private detectives in California can not conduct investigations with out proper licensing. Also, consumers can not knowingly hire an unlicensed private investigator under California law. All California private investigators are regulated by the Bureau of Security and Investigative Services, Department of Consumer Affairs. Their website is http://www.bsis.ca.gov. There is additional information about the regulations and laws that govern the private investigations field. We have provided the following link to verify our private investigators license. This link will direct you the State of California BSIS website database. On this site you will be able to verify our license along with any other private investigations firm you might be researching. Click here to verify a private investigators license. If you have any additional questions or would like to request a copy of our private investigators license, please call or email us anytime.